Invia World provide no specific information on their website about who owns or runs the business. The company claims to be based out of Austria and made up of ‘a group of investors, technicians and people who have been dealing with digital currencies and cryptomining for years‘. Unfortunately being based in Austria means most of the Invia World marketing material is in German. One affiliate presentation in English however cites Daniel Zdesar (right), Stefan Huber and Stefan Scharfl as “Invia staff”. Public records for Invia GmbH list Zdesar (51%), Huber (5%) and Scharfl (44%) as the sole three shareholders of the company. Holding 51% of issued shares, Daniel Zdesar appears to be in control of Invia World. Officially however Zdesar (right) is only credited as Invia World’s Chief Marketing Officer. 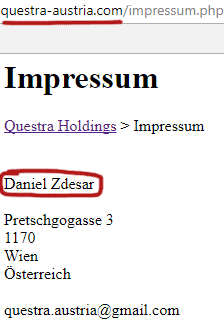 In addition to Austria, Zdesar was also active in promoting Questra World throughout Germany (he owns the Questra Bavaria website domain). Why none of this is disclosed on the Invia World website is unclear. Read on for a full review of the Invia World MLM opportunity. Invia World has no retailable products or services, with affiliates only able to market Invia World affiliate membership itself. Invia World affiliates invest €100 to €25,000 EUR on the promise of a passive 36 month ROI. The More an Invia World affiliate invests, the higher their ROI rate. MLM commissions paid out by Invia World are tied to affiliate rank. There are eleven affiliate ranks within the Invia World compensation plan. The Invia World compensation plan mentions a “turnover requirement 50/50” for Gold and higher ranks. 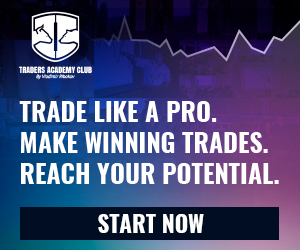 This pertains to required accumulated investment volume at each rank and suggests volume might be tracked through a binary compensation structure. I wasn’t however able to confirm this, or in the alternative what the “turnover requirement” refers to. Referral commissions are available on funds invested by downline affiliates, paid out through a unilevel compensation structure. Invia World cap payable unilevel level commissions at eight. Note that Invia World affiliates (up to the Diamond rank) can opt for an alternative reduced Rank Achievement Bonus plus increased ROI rate. Red Diamond, Blue Diamond and Black Diamond Invia World affiliates qualify for a Quarterly Turnover Share. Invia World don’t specify what this share corresponds to. The name “Quarterly Turnover Share” however suggests it’s a percentage of quarterly company-wide investment volume. Invia World affiliate membership is tied to a minimum €100 EUR investment. Full participation in the Invia World income opportunity requires an investment of at least €128,000 EUR. Invia World claim to generate ROI revenue through cryptocurrency mining. Despite going into prelaunch four months ago however, no audited evidence of cryptocurrency mining is provided on the Invia World website. Neither is there any evidence of mining revenue being used to fund affiliate ROI payments. The only verifiable source of revenue entering Invia World is new affiliate investment. Using new investment to pay existing affiliate investors a 36 month ROI would make Invia World a Ponzi scheme. With no retailable products or services, commissions paid on the recruitment of new investors also adds an additional pyramid layer to the scheme. There is also no indication that Daniel Zdesar has registered Invia GmbH with the Financial Market Authority, Austria’s SEC securities regulator equivalent. Quite obviously Invia World are offering a passive investment opportunity, meaning in addition to committing Ponzi fraud Invia World is likely also offering unregistered securities. As with all Ponzi schemes, once Invia World affiliate recruitment dies down so too will new investment entering the scheme. This will see ROI revenue drop. Token mining efforts might generate some additional ROI revenue, but not what anyone investing tens of thousands of EUR into a cryptocurrency MLM opportunity expects. The end result is those who recruit the most breaking even or profiting, and everyone else in Invia World losing out.